Home » Kanab Blog » Uncategorized » Moqui Marbles????? Moqui Marbles are a rare oddity that can only be found in the southwest, particularly around red, iron-rich soils. Have you ever come across them before? 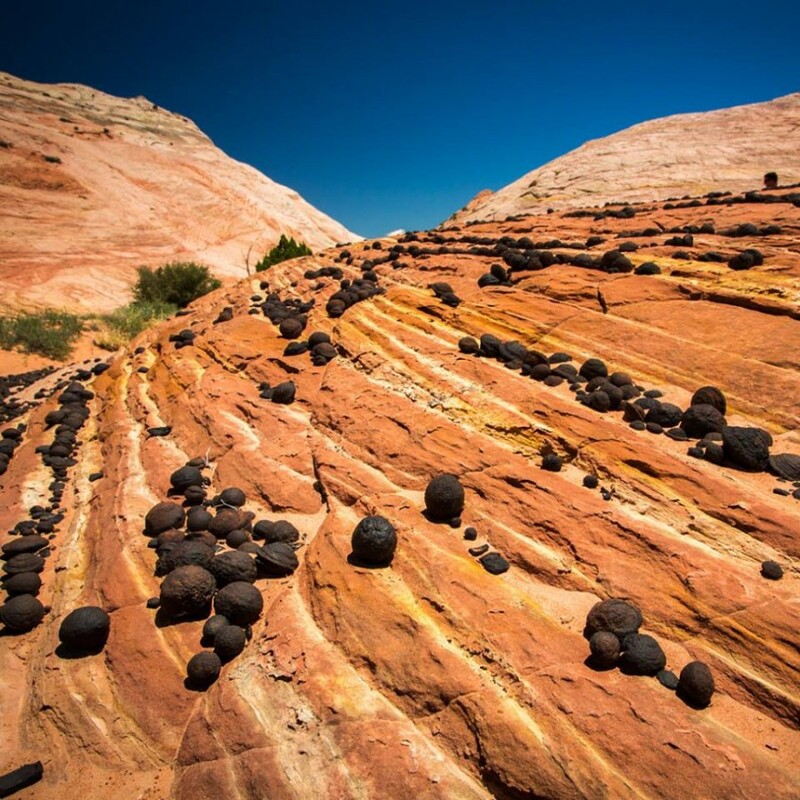 They are small, brownish-black balls composed of iron oxide and sandstone that formed underground when iron minerals precipitated from flowing groundwater. The word Moqui comes from the Hopi Tribe. Legend states that the Hopi ancestors’ spirits return to Earth in the evenings to play marble games with these iron balls. Then, in the mornings the spirits leave the marbles behind to reassure their relatives that they are happy and content. They occur in many places in southern Utah! Keep an eye out for these Moqui marbles the next time you’re in southern Utah! But please leave these Moqui Marble as they lay so others may see them too. Start planning your trip today at visitsouthernutah.com.